Android Pay turns your phone into a Google-powered wallet. Tap it against a terminal, transfer money, and walk away feeling like you're living in the future. Android Pay has been making folks feel this way since September, depending on where you live. If said place is in Asia, you've been out of luck. That's about to change. Android Pay has made its way to Singapore, its first stop in Asia. 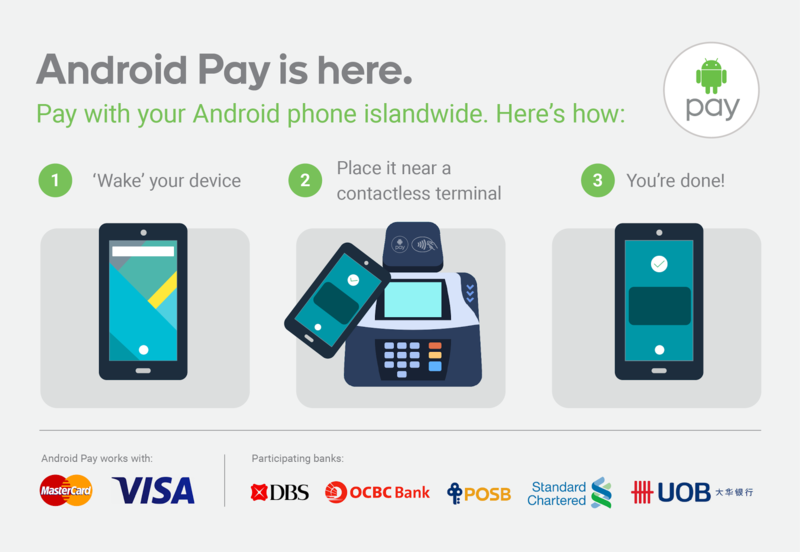 At launch, Android Pay works with MasterCard and Visa cards from BS, OCBC Bank, POSB, Standard Chartered Bank, and UOB. NFC payments from these financial institutions I don't recognize are accepted by retail locations I don't know such as BreadTalk, Cold Storage, NTUC FairPrice, StarHub, Toast Box, Uniqlo, and Watsons. There's also American giants 7-11, McDonald's, and Subway. Plus you can make Andoid Pay payments inside of appsy. Android Pay is also set to reach Australia sometime this year.